An interview on the "Goin' North" website and using OHMS with West Chester University student Shila Scott. 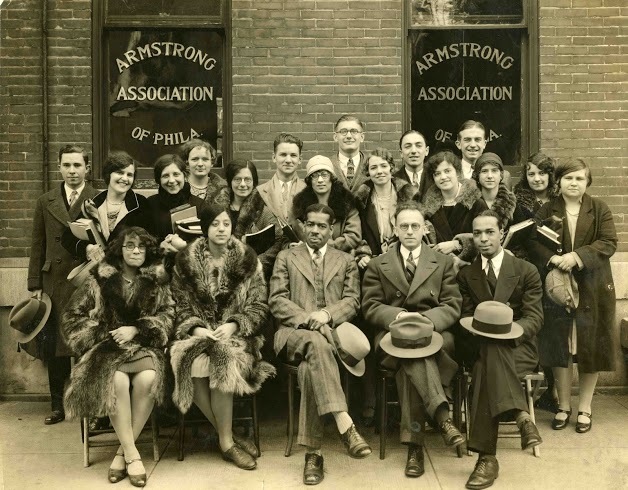 LEXINGTON, Ky. (Dec. 8, 2016) — Over 100 years ago, thousands of African Americans began to leave the Jim Crow racism of the South and ventured north to Philadelphia. 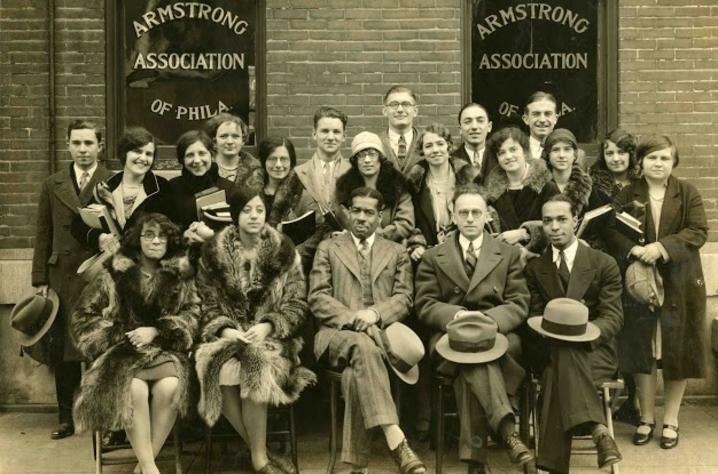 In what became known as the First Great Migration from 1910-1930, the City of Brotherly Love's African-American population jumped from 85,000 to 222,000. The change to the Pennsylvania city's makeup and the new citizens' search for opportunity and equality would have a profound impact on the city. 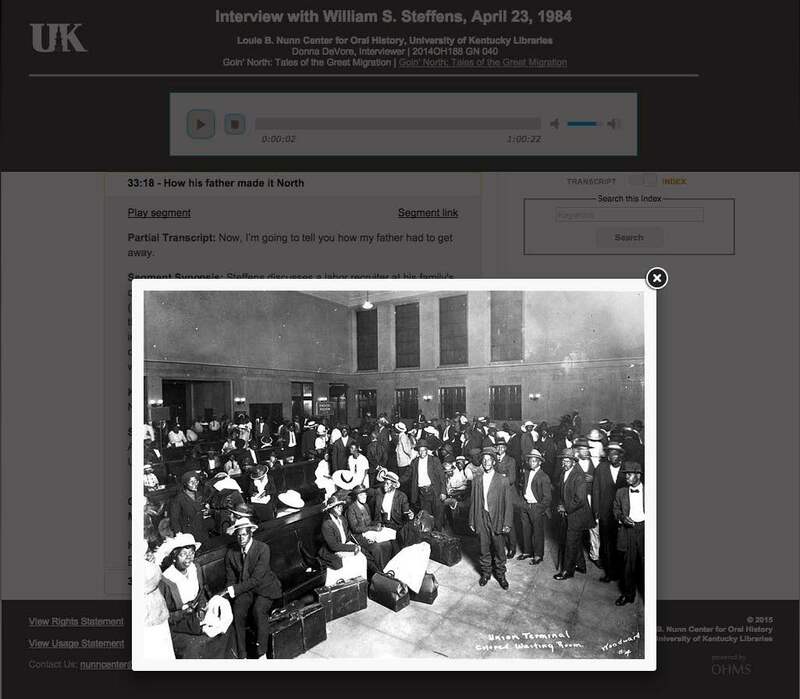 On the 100th anniversary of the beginning of the First Great Migration, Doug Boyd and the University of Kentucky Libraries Louie B. Nunn Center for Oral History and a team of history students from West Chester University, led by faculty Charles Hardy III and Janneken Smucker, have utilized a vast selection of digital tools as a supplement to oral histories to give a more robust understanding of this movement to the public online. The project between the two universities is built around Nunn Center interviews conducted by Hardy during the 1980s with African Americans who migrated to Philadelphia and black Philadelphians who witnessed their arrival and impact. 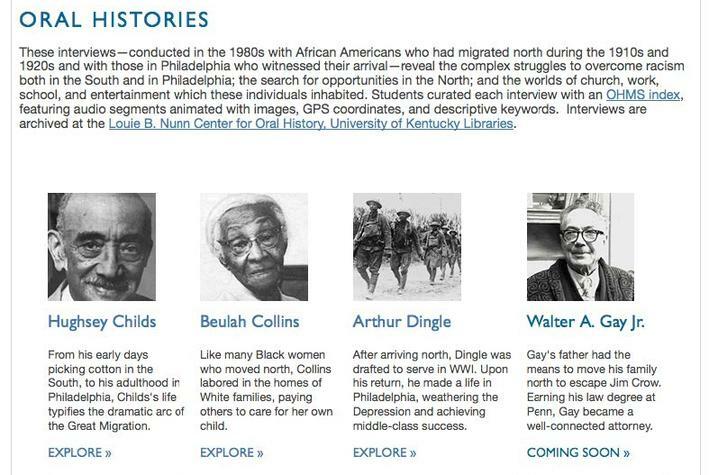 The interviews were originally conducted as part of a public history project with the Philadelphia History Museum and were used to produce a series of public radio documentaries, “Goin' North: Tales of the Great Migration,” that were accompanied by an educational supplement published by the Philadelphia Daily News. 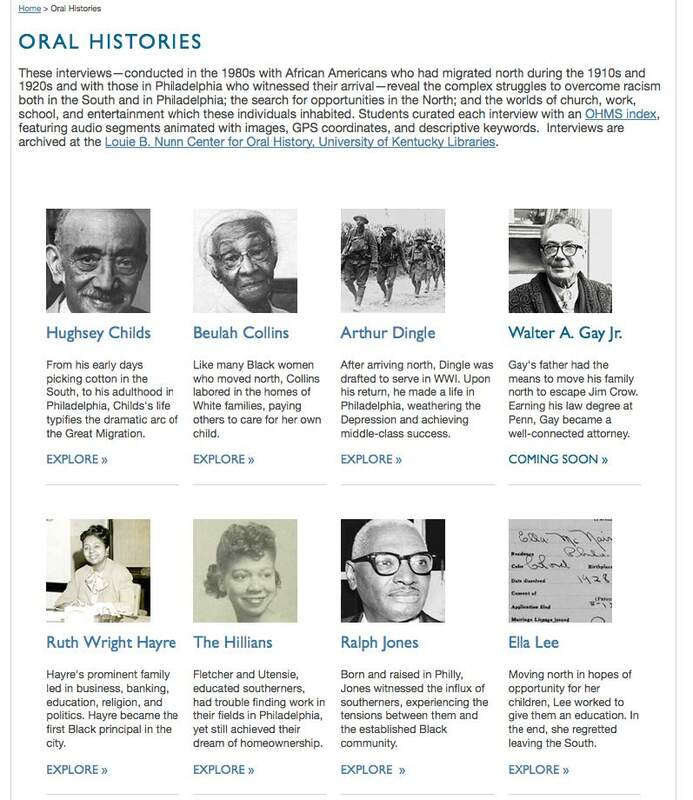 In his desire for new generations to know the story behind the Great Migration, Hardy contacted Boyd at the Nunn Center in 2014 to discuss digitizing the collection and using UK's Oral History Metadata Synchronizer (OHMS) technology to help tell these stories in a new way. 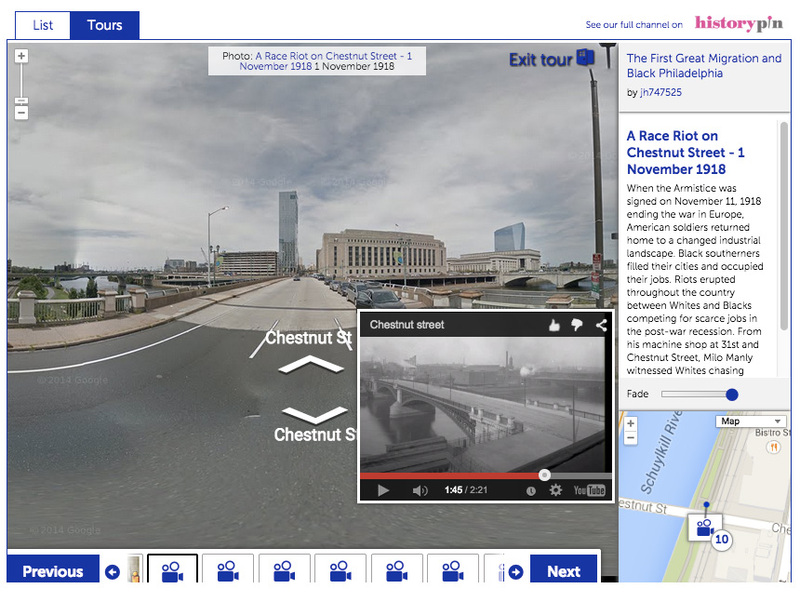 Today, “Goin’ North: Stories from the First Great Migration to Philadelphia” reimagines the 1980s project as a collaborative initiative linking archives and the college classroom that is using digital technologies not imagined at that time. 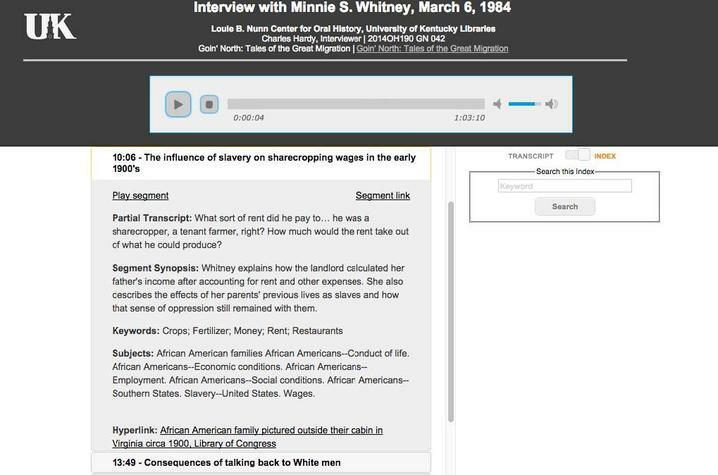 The project engaged 45 West Chester students with Nunn Center staff and collections, and features student created OHMS Level 3 indexes, each including an audio file synchronized with an exact verbatim transcript, curated segment synopses, keywords drawn from a controlled vocabulary of over 1,600 terms generated by students, images that illustrate the interview content, and GPS coordinates that situate the topics in geographic space all brought together through the content management system Omeka. Students also created digital storytelling projects to enhance the resources. The West Chester students were responsible for almost everything in creating the new content for "Goin' North." "This experience was really about choosing from the enormous landscape of tools out there, identifying the best ones for their purpose, learning to use the tools and then creating some pretty amazing things," Boyd said. Boyd, who has also worked on oral history projects with his own classes and other UK faculty, is excited with the "Goin' North" outcome and is looking forward to implementing similar strategies in the future with students. 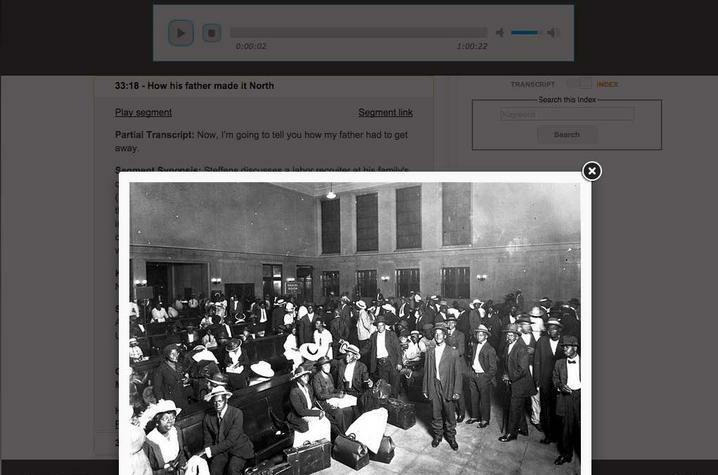 “We believe 'Goin’ North' is a model for engaging students with oral history, utilizing innovative digital platforms, connecting the archive and the classroom with effective pedagogy, multi-institutional collaboration and the production of a final product that is powerful, professional and useful,” Boyd said. Boyd credits the OHMS technology developed by his team at UK's Nunn Center as one of the reasons doors of opportunity are opening for students in relations to oral histories. "Archived oral history has always been a challenge to effectively utilize in classroom settings. Our system, OHMS, really makes it possible to take student engagement (in a pedagogical context) with archived oral histories to the next level," Boyd noted. "In addition to having this deep engagement with the interviews, the students are part of producing something real … something that has impact. "The resulting digital project is not something that the students simply create for the class project and turn in for a grade. This online resource ('Goin' North') is something that serves as a rich and important interpretive resource for this oral history project, this community." Since the launch of the "Goin' North" website, there have been over 21,000 page views serving 4,000 unique visitors to the site. 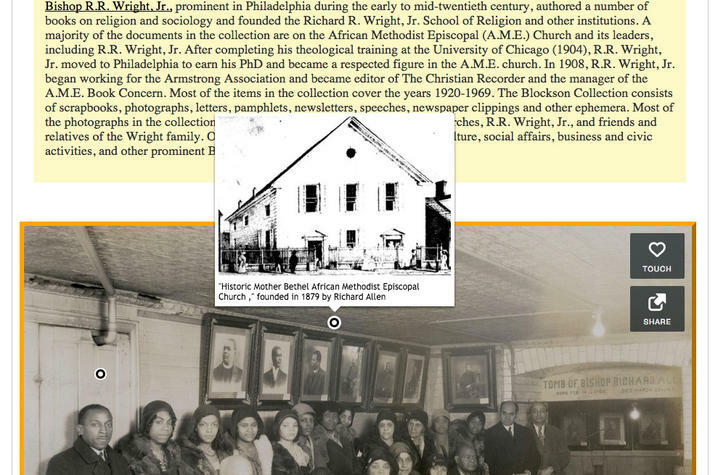 Based on this success and interest, Boyd, Smucker and Hardy are looking to collaborate on another oral history/classroom collaboration for the Philadelphia community. And, Boyd is also on the lookout for the next project on his campus as well. "We are always looking for new opportunities to collaborate with faculty on campus. This model can be emulated and enhanced, so I look forward to more potential partnerships at UK." 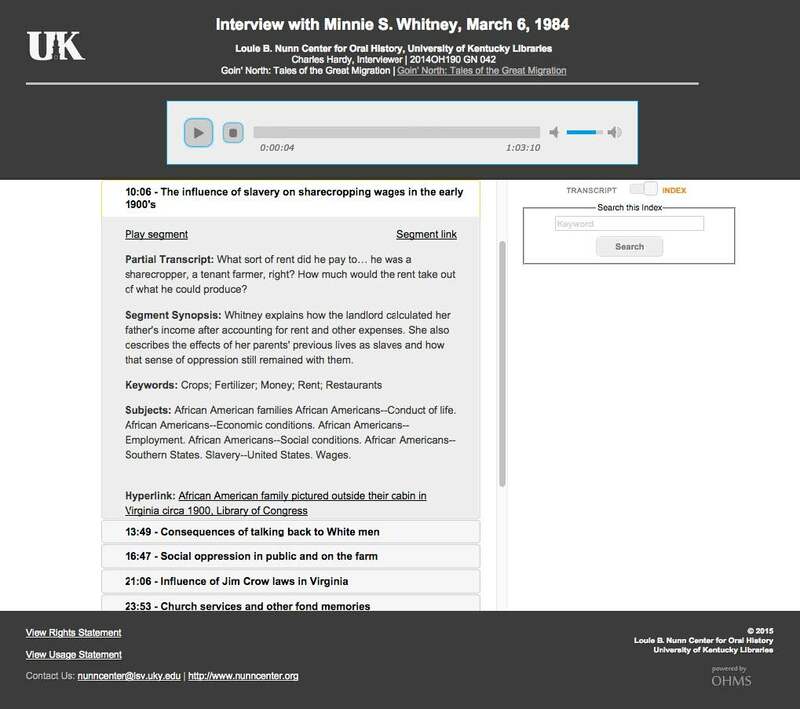 The Nunn Center, part of the UK Libraries' Special Collections Research Center, is internationally recognized for its outstanding collection of nearly 8,000 oral history interviews. 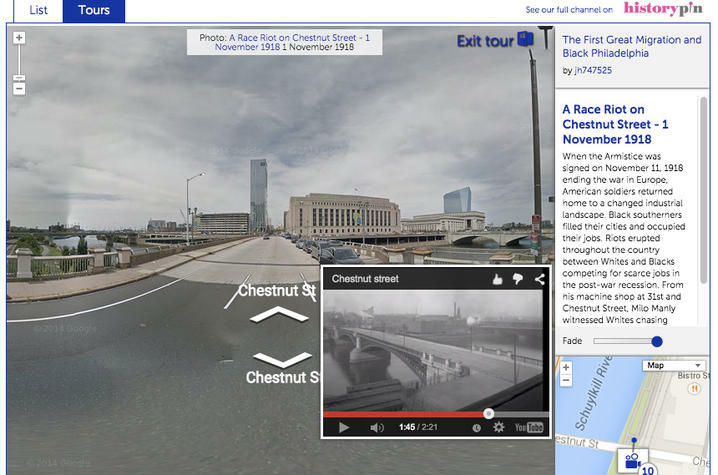 lightbox image and OHMS index for William Steffens interview for "Goin' North"